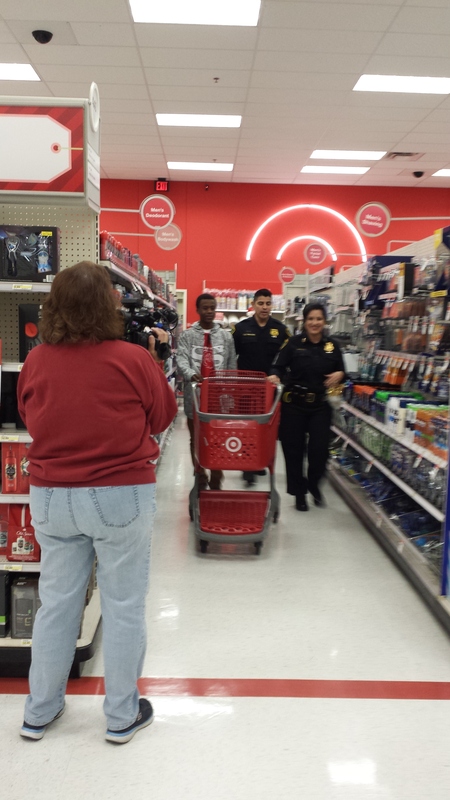 Target, Houston Police officers, the Houston Fire Department and teachers treated students from Meyerland Middle School with a Christmas shopping spree at the Target store in Meyerland Plaza today. 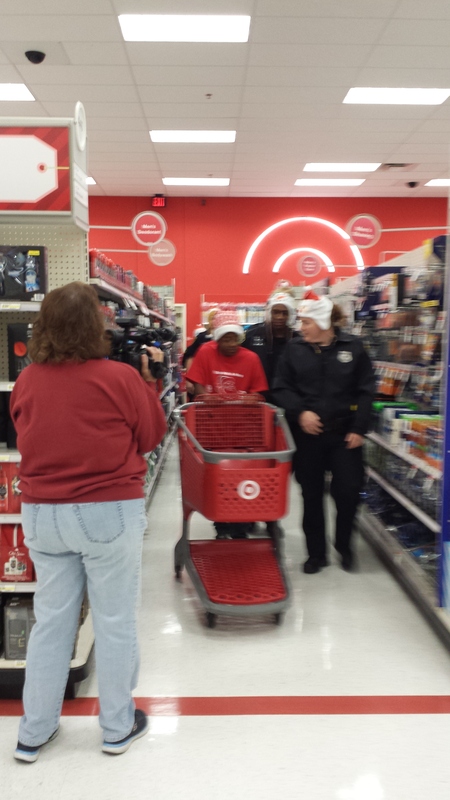 Target donated $100 gift cards to the students to buy holiday gifts for their families and themselves. 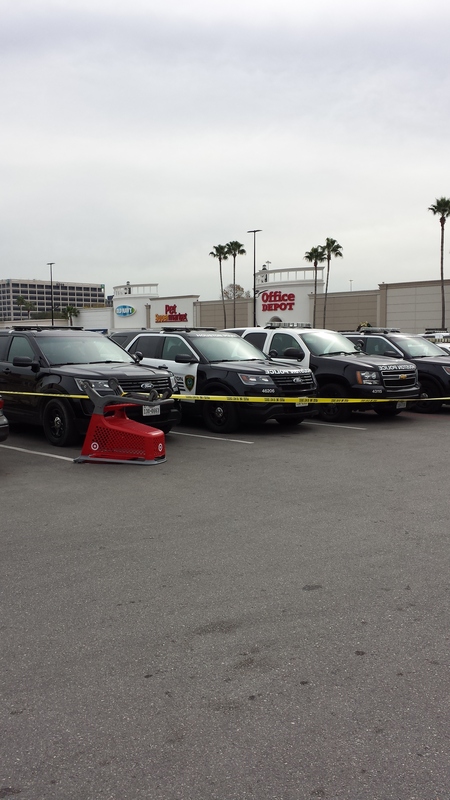 The shopping trips are part for Target’s “Shop with a Hero” campaign. Live traditional Christmas carols welcomed visitors at Houston’s First Baptist Church this past Sunday morning between worship services. 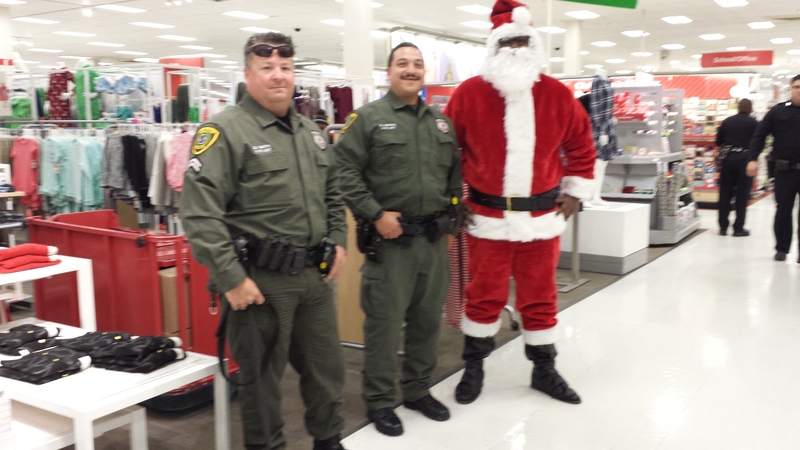 This entry was posted in Asian Community, Celebrating Holidays, Celebrations, Houston News, Houston Police News and tagged Christmas Blessings in Houston, Christmas Cheer in Houston, Meyerland Target, Target Shop with a Hero. Bookmark the permalink.